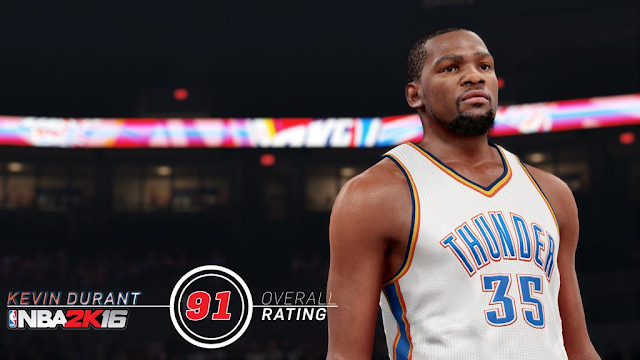 Oklahoma City Thunder superstar Kevin Durant tweeted out his NBA 2K16 player rating, along with a screenshot of himself in the game. KD has been blessed with a 91 overall rating, which is 4 points lower compared to last year. Check out the image below. NBA 2K16 is set to release September 29 for Windows PC, Xbox 360, Playstation 3, Xbox One and PlayStation 4. Stay tuned for more information in the coming days.